Home > Why buy with Alain Pinel Realtors? 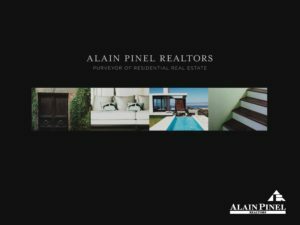 Why buy with Alain Pinel Realtors? 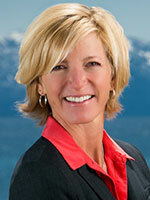 Linda Granger and the Granger Group decided to affiliate with Alain Pinel Realtors in 2012 because of its stellar reputation for integrity, professionalism and negotiating skills. Linda has a proven track record of finding buyers their ideal Tahoe/Truckee homes, negotiating the best price for those buyers, and closing deals with the utmost efficiency and a cheerful attitude. At Granger Group/Alain Pinel Realtors, client communications are our top priority, and we strive to achieve the fastest response times in the industry. At Alain Pinel Realtors, we attract the industry’s most experienced and forward-thinking agents. And to help keep them on the leading-edge, we invest in our agents, offering tools to keep them at the forefront of an ever-changing market. Linda regularly attends classes that educate her in contract law, mediation, negotiation and market analysis. Alain Pinel also hosts exclusive in-house legal seminars with industry experts at the top of their fields, passing along to Linda and our other agents skills and knowledge that will make them the best possible representatives for buyers who want rock solid protection and detailed-oriented agency. If you want to rest assured that you received industry-leading representation in buying your Lake Tahoe or Truckee, we are confident that the Granger Group of Alain Pinel will deliver service you will find unmatched.